BAE Systems test pilot Peter ‘Wizzer’ Wilson has completed the 1,000th vertical landing in an F-35 Lightning II as part of ongoing flight testing of the jet. The milestone occurred at Naval Air Station Patuxent River, Md., and came just 6 years since another one of our test pilots, Graham Tomlinson, completed the first vertical landing. 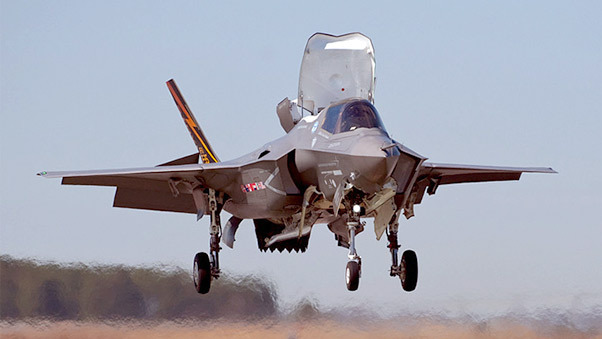 Wizzer is the Lead Test Pilot for the Short Take Off and Vertical Landing variant of the F-35 Lightning II, which is the jet which will operate from the Queen Elizabeth Class aircraft carrier for the United Kingdom. He said: “Every day, the test team carries out numerous take-offs, landings and sorties with the aim of ensuring the aircraft is performing in accordance with our expectations. “To be the pilot who conducted the 1,000th vertical landing is a bit special, especially given it was Graham “GT” Tomlinson who conducted the first in 2010. “As is usually the case, the aircraft was flawless, which makes the work very satisfying. It is of paramount importance to us that the F-35B is ready for the UK warfighter and everything we’re doing points to the fact that it’s ready. Last June, Wizzer became the first pilot to launch the F-35 STOVL variant from a ski jump. Our company plays a key role in the design, development and manufacture of both the aircraft and the aircraft carrier, and also leads the work to ensure that both are integrated seamlessly for the UK customer. The trials being undertaken in the USA inform the program and our engineers involved in it on both sides of the Atlantic, including engineers at our sites in the U.K. helping to develop and test the latest technologies for the aircraft. 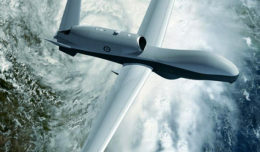 At our Warton site, the data from the flight trials is used to further improve the models used in a unique simulation facility. Using the latest cutting edge technologies, engineers have developed a simulator that allowed pilots and engineers to fly the F-35B from the deck of the QEC carrier, years before they can be operated together in the real world. This facility remains at the heart of developing a carrier strike capability for the United Kingdom.